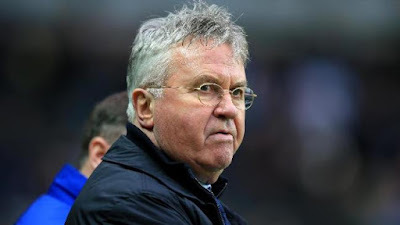 Guus Hiddink: He had it easy in 2008 but this time around has been found out ! When Guus Hiddink came back to Chelsea for a second stint as Interim Boss he should have realised that he could not call upon Leaders in the dressing room to assist and has been found out to not being anywhere near strong enough! Am I the only person that thinks that he hasn't done that much since he has been here? If someone says to me "He helped moved the club clear of relegation and we should be grateful" one more time, I think I will lose the plot totally and flip out! The fact remains that when he came in at the time he did, Chelsea were in turmoil and looking around that dressing room within hours of being back he must have realised that the squad was nowhere near that of the side he coaxed out of their slump back in 2008. 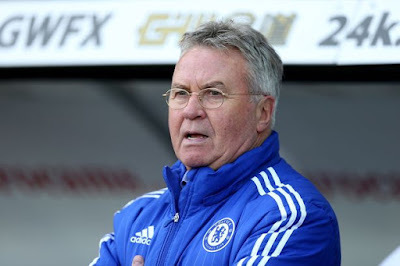 In his first stint as manager, Hiddink could call upon the likes of Petr Cech, John Terry, Ricardo Carvalho, Frank Lampard, Michael Ballack, Didier Drogba and Nicolas Anelka to lift the players, to get them to back his management style and decisions and to all play their part to dig us out of the mess we had found ourselves in. Each made telling contributions from the moment Hiddink came in and all of them had masses of experience and knew what it would take to drive the club forward and back up the Premier League table. Coupled with the likes of Lampard, Ballack, Drogba and Anelka to provide us with something from nothing to turn games into our favour, we could then rely on the likes of Cech, Terry and Carvalho to marshall our defence to see games out. The team had a balance about it and a swagger. You look now and we are but a shadow of anything of that nature. We look like a collective of individuals that play together and may give us spectacular passing movements from time to time, but we go behind in games and people look around at each other trying to pin the blame on someone else, we look around for someone to pick us up, to tell us what to do and for someone to do something to turn the game back in our favour - but that person is no longer there. Guus Hiddink had it easy in 2008 but now has been found out to be someone here at the wrong moment. He isn't strong enough to deal with the squad, he isn't strong enough to make bold decisions and if anything, he is stuck in his ways to a point that he has made costly mistakes with team selections and substitutions this time around that have cost Chelsea important points and our participation in the Champions League and FA Cup. You look at points we have dropped and some of the decisions he has made and it has really, really cost us any hopes of finishing in a European place at the end of the season. Add those points up and then see where it could have taken us! We have been fortunate enough over the last twelve years to have had the likes Petr Cech, John Terry, Frank Lampard and Didier Drogba throughout that period as the core and foundation of our success. All of them natural leaders and inspirations in their own right, they could all prove to be the difference wearing the Chelsea Blue. We had almost taken it for granted. Chelsea have a severe lack of leadership at the club from the Manager and players and I honestly believe that the shambles under Jose Mourinho at the start of the season to the point where he lost his job, to player power and unrest, to the appointment of Guus Hiddink to come in and do him a favour to then be found out as not being anywhere near strong enough, has led Roman Abramovich to sort after a manager that can come in and demand discipline from the word go by saying "Its my way or no way!" and that is the only way our club can pick themselves up to then go again next season. 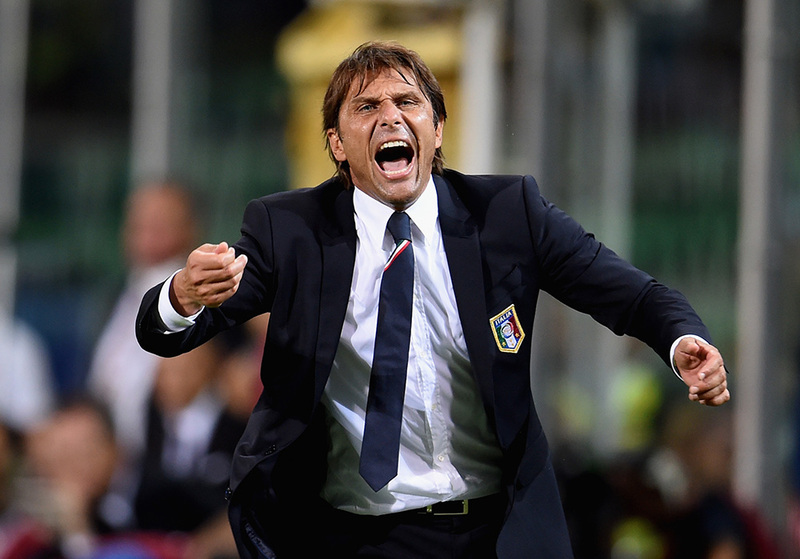 The sooner the season is over and Conte comes in the better!